Introducing our new Barberry striped cotton t-shirt. 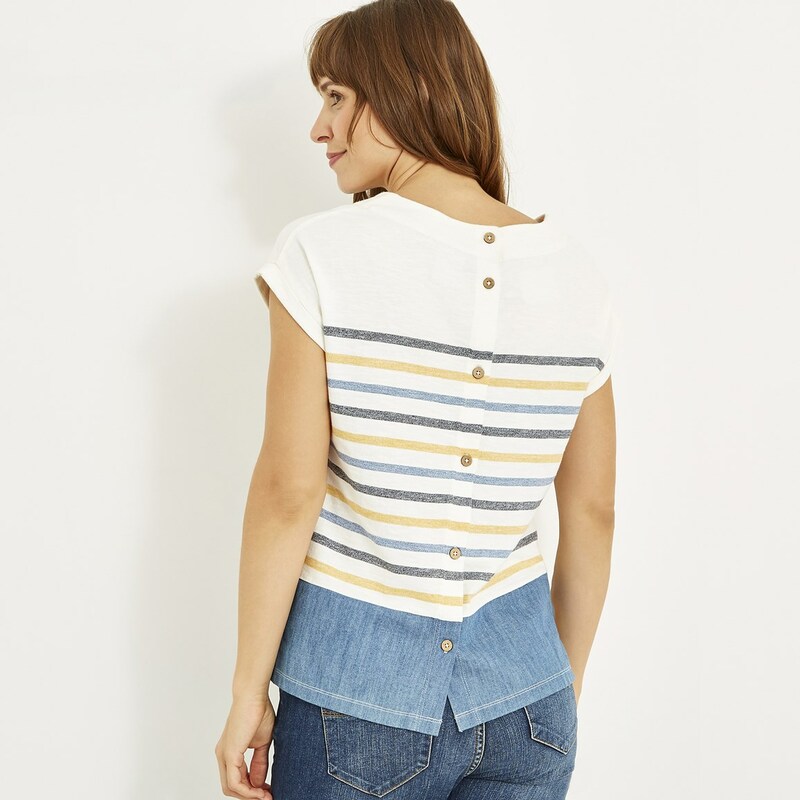 With a dropped shoulder style for a relaxed fit, this lightweight top features a bold stripe throughout and pretty button up detailing at the back. A versatile piece, the round neckline makes it ideal for layering, and the stylish stripes are sure to brighten up your day. 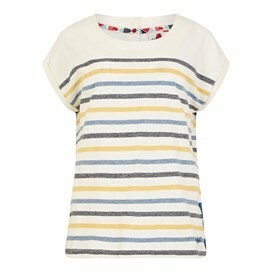 Made from 100% super-soft cotton, you're bound to wear this t-shirt again, and again, and (you get the idea). 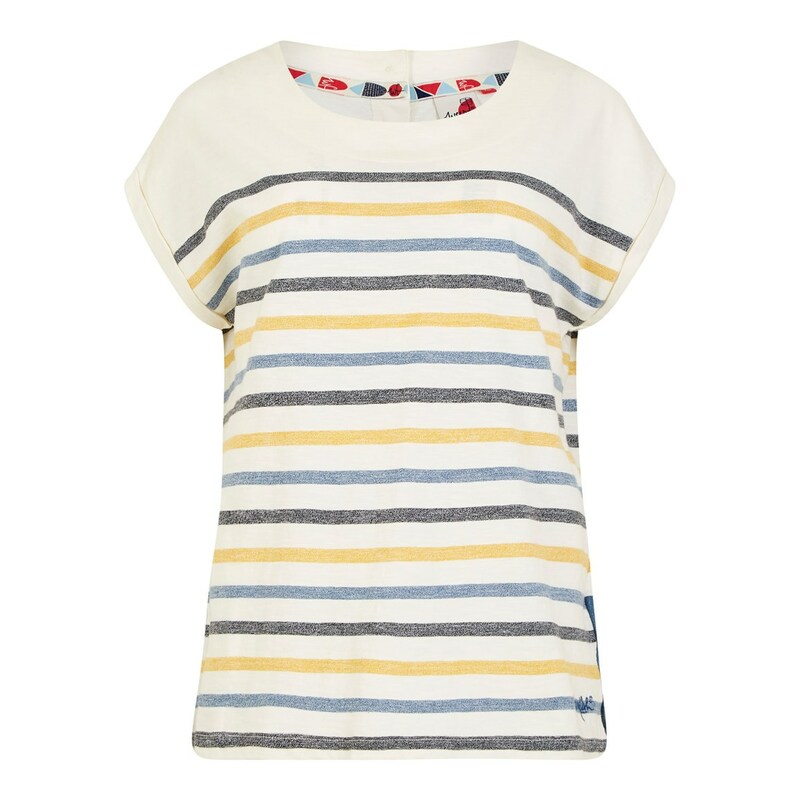 Lightweight and flattering, the Barberry striped t-shirt will take you from work to weekend with ease. 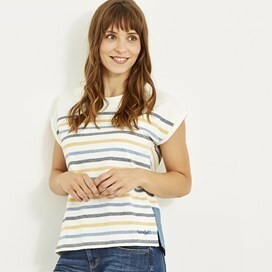 Nice top, very large for sizing from my point of view...I am usually a size 10, but think I would need a size 6 or 8 in this as the size 10 was so baggy, so I will be returning the size 10 ordered. Lovely quality as always though. Very pleased with this. Good colours and true to size. Prompt delivery.